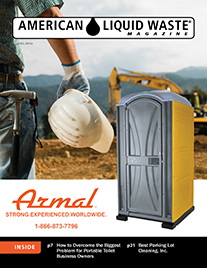 For this month’s ALW magazine’s spotlight we interviewed Jarrid Lentz, owner and operator of Lentz Wastewater Management, located in Statesville, North Carolina. Q: Can you tell me a little bit about your background? My Grandpa, Roy Lentz Sr. started installing septic systems in 1958 when my dad was 3. My dad, Keith Lentz, and his brother, Roy Lentz Jr., incorporated Lentz Septic Tank Service, and added septic pumping to the business in 1974. I started riding in the big tanker truck with my dad when I was 8 years old, and learned how to operate the equipment on the farm as I grew up. I went to work for a landscape company briefly, mostly operating heavy equipment for them. I started learning the business, asking questions and operating the equipment at a very early age. Then I got my Installer License, Inspector Certification, and even started the process to become a licensed Plumber. In 2000, when I was 24 years old, my dad sold me his 1996 Terralift machine and gave me 12 jobs that needed to be Terralifted. I worked by myself the first 12 years. I had ups and downs in the beginning, especially struggling to get by from 2008-2010 when the economy was so bad. I was able to hire a helper in 2012, but didn’t have enough work to provide him with a full time income, so he left for a more steady position. Then in 2013, I hired a helper, Mark Houston, who was willing to work part time or full time hours, depending upon the work we had coming in. Business has steadily increased since then, and continues to grow. Mark is still with me, working 4 days per week. Last summer, I was able to hire a full time helper to do more physical labor and operate equipment when I’m not at the job, while Mark does all of the Terralift jobs. I am currently seeking another full time employee to operate equipment, install and repair equipment. The septic business is pretty much all I’ve ever done. It was a natural fit as the family business. 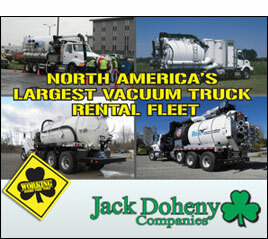 The septic repair business is challenging, outside work. I love having the ability to figure out problems and create a solution with septic systems. I am a perfectionist and extremely detail oriented, so I never go to a job just to patch it up. I go with the intention of fixing the problem completely. When the opportunity came up for me to repair systems and operate the Terralift, while my dad’s company pumped septic tanks, it was an offer I couldn’t refuse. I’m glad I started my own business as a complimentary business to my dad’s septic pumping business when I did. Q: Please tell me a little bit about the history of your company—when it started, who worked there? What changes or modifications have you made since you took over? My grandpa’s company started in 1958 in the same location as a septic system installation company. My dad and uncle incorporated the septic pumping business, Lentz Septic Tank Service, in 1974, and then my dad bought out my uncle several years ago. I started my company, Lentz Wastewater Management, Inc. as a complimentary service to repair, update and install septic systems in 2000. We advertise together, offering customers complete service, and share the customer base and expenses of advertising. Q: What is your business model? How have you structured your business? What plans did you envision when you thought about how you wanted to set up your business structure? What changes have your made since you first started? I incorporated my business, and structured it to operate as a “Sister Company” to Lentz Septic Tank Service’s pumping business. My original intention was to build from the septic drain field repair operations and update older systems for current Lentz customers. In the beginning I enjoyed working for myself and by myself. I liked the freedom it offered, both as a self-employed person, as well as not having the responsibility of having employees who needed steady work. Because of the family dynamic, I was able to easily get customers referred to me from the pumpers, especially when the economy was strong. In terms of the services and equipment I thought I wanted and needed, there were two primary machines necessary to get my business started, a track hoe and a Terralift. 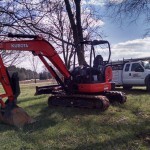 Digging out septic tanks for the pumpers with a track hoe/backhoe and providing the Terralift septic drain field repair services were always a high priority, so these two pieces of equipment have remained necessities in my business model. Now that I am doing more installations, I currently use a large track hoe and a skid steer for covering up the lines. In terms of employee base, I have always been able to physically do the work, but as I grow, I need helpers to make the company more efficient, grow faster and stronger. Hiring full time, permanent employees was a huge step or me. After struggling so much to make it through the lean years on my own, I was reluctant to make that commitment to hire for a long time. Now that I have had two permanent employees for almost a year, I am realizing that my company is strong enough to support the growth we are experiencing. Hiring employees has been one of the biggest mental hurdles I’ve had in business. I didn’t do any technical market research when I started with the Terralift machine work. I would say that my research was more about experience and recent needs for the service. I knew that we had been getting a steady stream of customers needing to have their septic drain fields Terralifted, and I knew that the operation worked. Currently, I have an assistant that looks at our keyword searches and evaluates the success (or failure) of the advertising that we do. She also looks at my sales reports and breaks down the different segments of my business to determine the amount of money each service type is generating monthly. 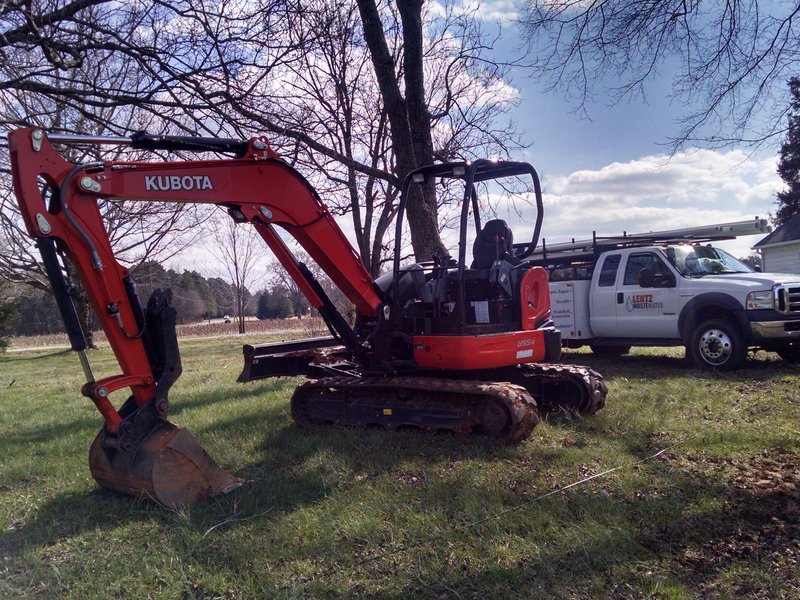 Because our installation business was increasing so quickly, I knew we needed a larger track hoe for digging the holes for tanks and septic drain lines. I also purchased a new Terralift machine as my septic drain field repair calls increased. Before purchasing new equipment, I look at how often I will be using the equipment, based on my current and past jobs, and weigh the difference between renting and purchasing. I continued to use my smaller track hoe and rented a larger track hoe for several jobs before purchasing one, just to make sure the demand for jobs was going to last. I also turned down quite a few large installation jobs because I was not well equipped to complete the jobs efficiently. My trucks are currently sufficient for what we are doing, but need to be upgraded soon. I would never have a repair truck without a utility bed again. The convenience of the compartments and accessibility has been a huge benefit, especially with the addition of full time employees. Trailers are challenging for my company, because it seems like we need a different trailer for every type of equipment we use. Even the difference from the older Terralift to the new one was challenging in finding a trailer that was suitable. Q: Tell us about all of the different services that you offer. Which division is the most successful? Why do you think that is the case? We offer septic system installation, replacement, repair and updating of older systems, including adding risers, sanitary Tees and effluent filters. The most successful, profitable and valuable service we offer our clients is the Terralift operation to rejuvenate saturated septic drain fields. This service saves our clients thousands of dollars when it is properly diagnosed and implemented. And, it is a service that usually requires only one technician to complete. Currently, the breakdown in services puts installation at approximately 40% of my gross sales, and Terralift operations at about 20% of my business. The remainders of our sales are repairs, updates, pump replacements, and moving or adding septic drain lines. I am satisfied with the current breakdown, as the weather and economy influence much of my work; the diversity offers enough work to sustain my business, even during dry months and slow economic growth. As my company grows, I would like the percent breakdown to stay close to the current numbers. Q: How did/do you arrive at creating a unique image or identity for your company? What makes your company stand out from the competition? The image and identity my company has evolved from the Lentz name and my natural commitment to high quality standards. My assistant has used her knowledge of my work to generate a brand and expose the reputation my family and I have worked hard to build. The septic business is all I know. I grew up riding in the pumping trucks with my uncle and my dad, learning the business and helping, sometimes because I wanted to, and sometimes when it was a requirement. Either way, as a perfectionist and over-achiever, I find each new day full of challenges that will never defeat me. Just when I think I’ve “seen it all” something comes up that I have never experienced before, and I do whatever it takes to find and fix the problem at hand. What I offer is experience, expertise, a commitment to doing the job right the first time, and professional employees. Because my dad, uncle and grandpa had established the Lentz name as the experts in the septic business many years before I was even born, I have an additional advantage of a trusted name in our area. My price point cost is not typically lower than my competition; however, I stand behind all of the work I do, where many of my competitors do not guarantee their work. From my experience, most of my customers prefer the peace of mind knowing that their problem will be fixed properly. Q: Can you tell us about your client base? How many clients would you say you serviced or pumped monthly? Yearly? We service an average of 35 customers per month, 400 per year. There is a jail near our lot that requires frequent pumping, and has provided a large source of repair business for my company through the years. Hospitals, factories, restaurant chains, real estate agents, and a very large percentage of the established local community use Lentz Septic Tank Service and Lentz Wastewater Management services for their septic installation, repair, replacement, pumping, jetting and grease trap cleaning. Q: How do you position or define your business in terms of your customer target population? In terms relative to other competitors in the market? My assistant has developed a video explaining the Terralift operation, with details about my commitment to quality. We use advertising and networking to establish (or reinforce) the Lentz name as professionals in the septic field. In addition to advertising, we have created a network of professionals in similar fields (plumbers, inspectors, electricians, etc.) who trust our work and feel confident referring their customers to us. Q: How do you communicate with customers to assure premium customer service? My assistant is building an email list and will soon be sending out quarterly newsletters. Lentz Septic Tank Service sends out post card reminders every 3 years. We post blogs, social media updates and we have someone making phone calls to follow-up with services completed or still needed. One thing we started doing in January that has been successful, yet still needs a few adjustments, is an “Observations Sheet”. This form is carried by the septic tank pumpers and has a checklist of several items that the pumpers should be checking, i.e. condition of the sanitary tee, risers, lids, tank condition, inflow and outflow of wastewater, and drain field saturation. The pumpers give a copy to the customer with my contact information and any helpful notes, and another copy to my assistant who follows up with a phone call. 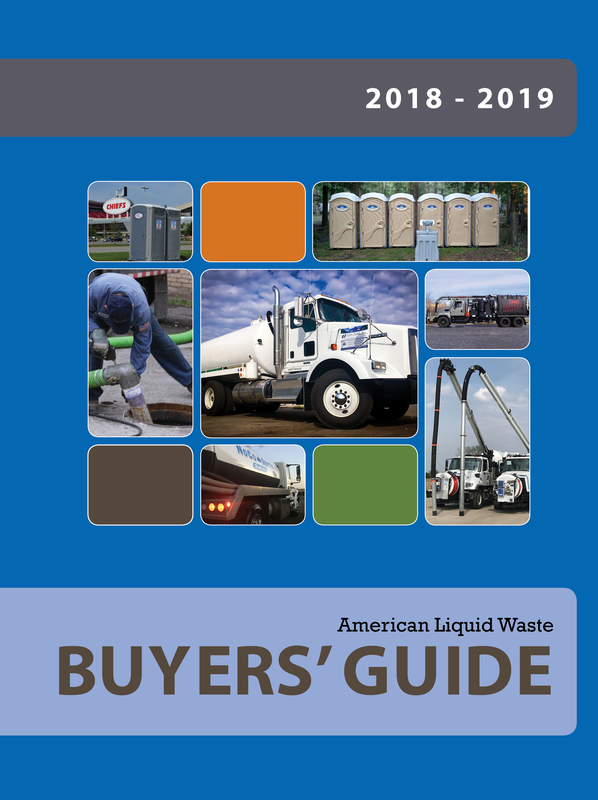 You can learn more about Lentz Wastewater Management by visiting their website: www.lentzwastewater.com.